Getting to Mackinac Island is as easy as 1-2-3! 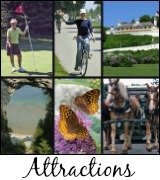 If you plan your trip in advance, getting to Mackinac Island will be a fun-filled experience. 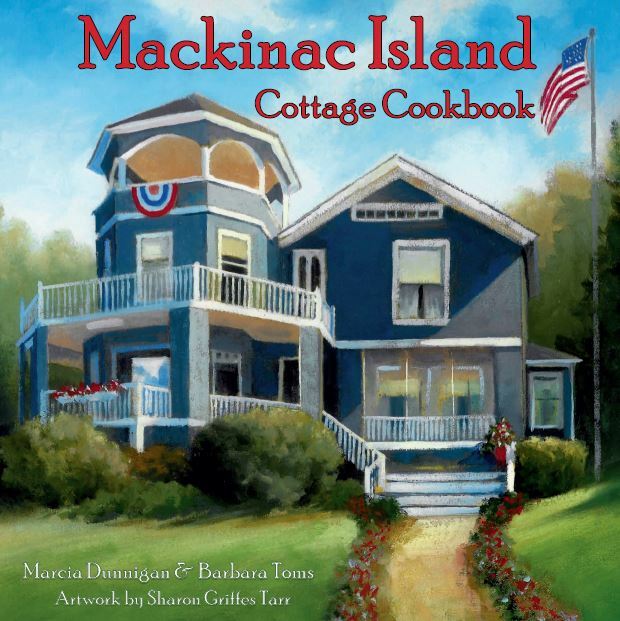 If driving to Mackinac Island there are some wonderful towns to stop and enjoy the beautiful views and small communities throughout the state of Michigan. It's a straight shot when driving from the Detroit area on I-75. Ann Arbor's US-23 will meet I-75 just south of Grayling. And, US-27 from the Lansing area merges onto I-75 in the same spot. Be careful for the speed limit is 70 mph and the police are vigilant! From the west side of Michigan you will pick up US 31 just outside of Grand Rapids that is a 4-lane highway. But becomes a 2 lane highway just after Lake City. It's a slower way to go but it's fun if you want to stop to see Boyne Falls, Boyne City and travel through Petoskey to get to Mackinaw City. Don't be surprised with deer and coyotes running across I-75 or US-31 so be on the lookout! Usually, if you see one deer there will be others nearby. So be careful. Ferry service to Mackinac Island operates from Mackinaw City & St. Ignace, Michigan. There are several lines & each provides parking & assistance with luggage. If you are traveling north on I-75, take exit #337 & follow the signs to either the Sheplers, Star Line or Arnold Line docks in Mackinaw City. If you are traveling south on I-75 in the Upper Peninsula, take exit #345 to a dock in St. Ignace. To get the most from your vacation, travel the extra miles to cross the magnificent and historic Mackinac Bridge. The views are spectacular! 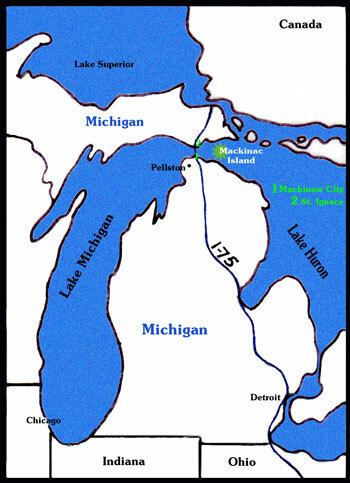 Delta Airlines provides commercial air service to, Pellston Regional Airport, only 12 miles south of Mackinaw City, Michigan. 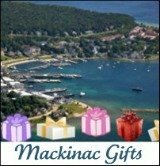 From there, you can take an air taxi to Mackinac Island, or a limousine or shuttle to the Mackinaw City docks. Limousine and Shuttle Services are provided 24 hours a day by two companies, Mackinaw Shuttle (888-349-8294) and Wolverine Stages (800-825-1450). Although you can make arrangements with them upon your arrival into Pellston, it is highly recommended that you contact them in advance for a reservation. Air Taxi Service is provided by Great Lakes Air (906-643-7327). 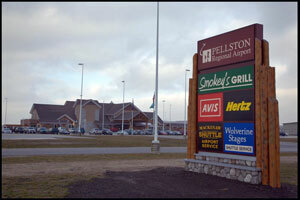 They are operated 24 hours a day from Pellston Regional Airport and the St. Ignace Airport. A horse-drawn taxi will meet you at the Mackinac Island Airport and take you to your destination. The Mackinac Island Airport can accommodate private and charter aircraft. It has a 3,500-foot paved runway that has been upgraded during the fall of 2011. There is no fuel available on the Island. This is a public airport and is operated by Mackinac Island State Park Commission. 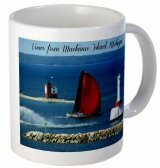 Mackinac Island State Harbor is home to a beautiful Marina. It has 76 Slips, 13 Seasonal and 63 Transient. For your convenience, pump-out, restrooms, showers, electricity, water, dog run, trash area and pay phones with dataports and immigration station are available. 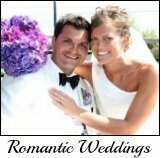 If you are Getting to Mackinac Island by private boat, click here to make a reservation on-line. Getting to Mackinac Island will be easy if you plan! Remember to check ferry schedules in advance and schedule arrivals accordingly. Landing at the Pellston Airport late evening will cause you to miss the last ferry of the day to the Island. 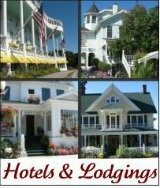 Don't forget to make a reservation at one of the Mackinac Island hotels!